Zell am Ziller is part of the Zillertal Ski area, which gives access to 455km of runs spread over 12 local domains. There are only 47km of runs at Zell itself and these mostly suit beginners and intermediates. But there is a free train to Mayrhofen as part of your lift pass, so that provides relatively easy access to much more terrain. The town is a touch on the sprawling side, down in the valley (580m). It isn't really a ski resort, but rather a proper market town. 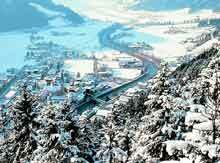 It's set in the beautiful Ziller Valley, partially making up for its lack of Alpine ambience. 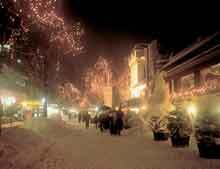 Overall, Zell am Ziller is a cheaper place to stay, but travel is required to get the best skiing that the Zillertal Valley offers. In the heart of the Ziller Valley. Good value accommodation for the Mayrhofen ski area.